I'm hearing some rumblings about what seems to be an overt form of art censorship in a regional area art gallery. More details as I dig out more info. Wanna go to an opening in Frederick, MD? Opening Reception: Saturday, September 5, from 5 - 8 pm at the Artists' Gallery, at 4 East Church Street in Frederick, Maryland. 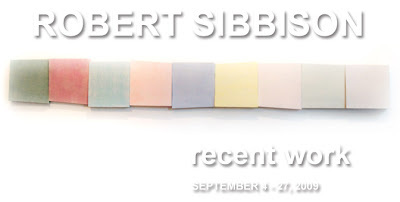 "Minimalist yet complex, this exhibit is a showcase of Robert Sibbison's sculptures characterized by the shifting relationships between regular and irregular forms and space. Patterns are established, evolve and mutate within the deceptively simple forms. The play of light and gravity on steel and wood create visual ambiguity, beauty and tension. The result is a synergy of simple parts adding up to a compelling whole. Robert Sibbison's work has been honored with national grants, commissions and prizes including a National Endowment for the Arts individual grant, and a large outdoor sculpture commissioned by Dayton Art Institute in Dayton, Ohio as part of their permanent collection. He received a BFA from the University of Colorado and a Masters of Fine Art from Cranbrook Academy of Art and has taught at various private schools and public universities. Robert is currently an adjunct professor at Frederick Community College, Frederick MD." Citing the economic climate, the third iteration of the International Caribbean Art Fair, scheduled to be in DC next month, has been cancelled. If you haven't seen the new Pink Line Project website, then you're missing one of the best resources for the visual arts in the nation's capital region. And if you're a gallery or art PR person and you're not sending Philippa P.B. Hughes all your art press releases for the site's most excellent calendar, then you're missing out on a great venue to spread the art word.